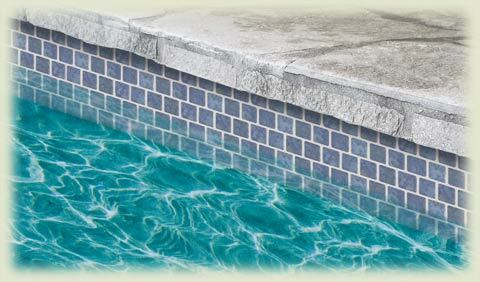 We recently had an appointment with Jackson Custom Pools in Fort Myers. 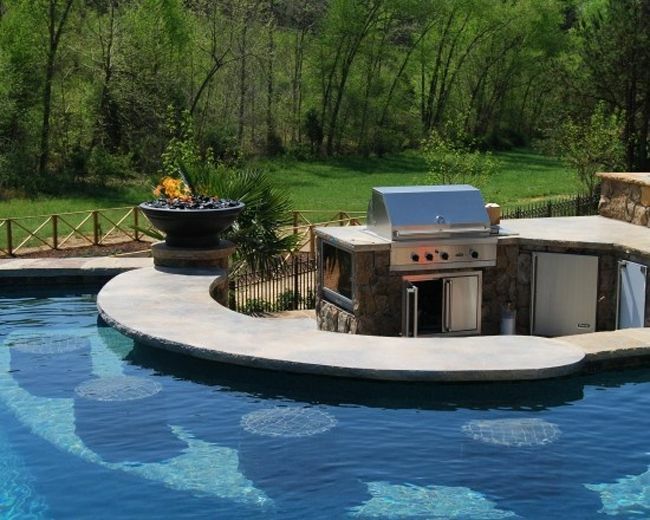 These guys have been in business for a long time and have done some really amazing pools. My husband met with them a while back at our house remodel to discuss what we wanted. Since we have such a large backyard we can have a fairly large pool. 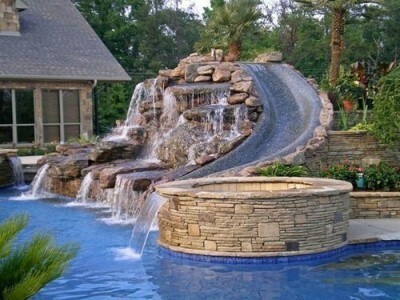 As much as I’d love a pool like one of these, it is just not in the budget. Sigh! Not the most practical pool, but impressive nonetheless. How awesome is this slide? Ah, to have a swim up bar would be so cool! Yes, all the above pools are amazing! Amiright? 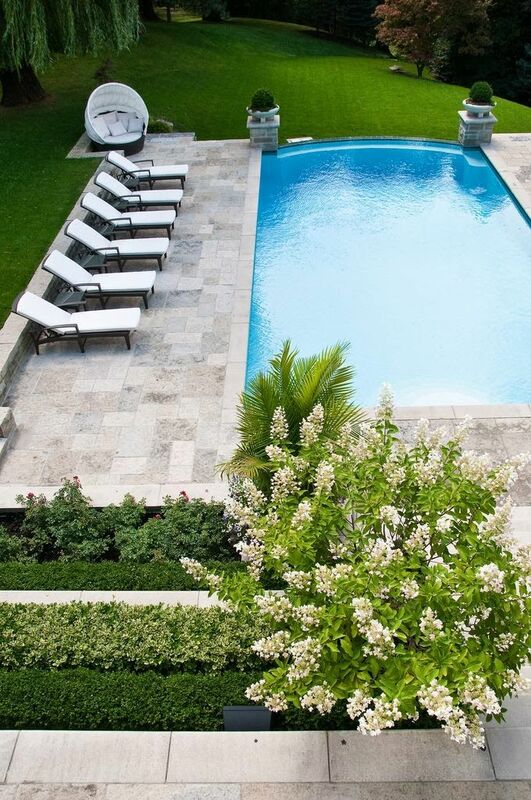 But, these pools would be mucho dinero! While our’s might not be that amazing, I think it’ll be pretty darn nice and pretty darn large, 30ft x 15ft! 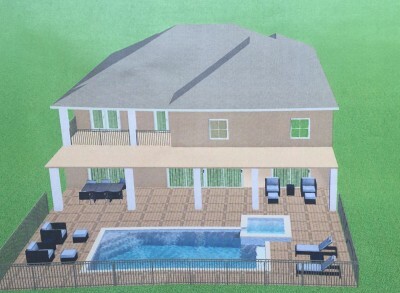 Here is a computer drawing of what it will look like. It’s not as fancy, but it’ll get the job done. Actually, I think it’ll be just perfect!!! 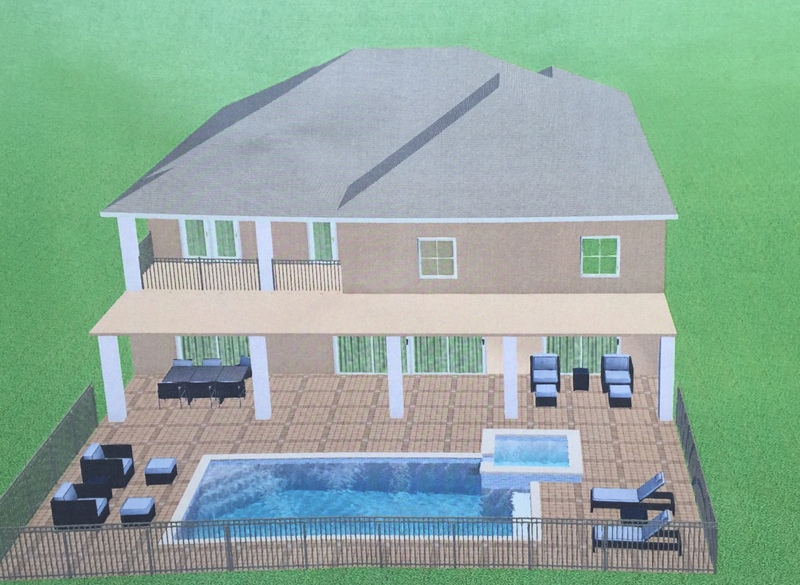 Computer image of our future pool! We decided, for now, we are only going to put a screen (or lanai or ‘cage’ as they call them here) in the area under the roof that sticks out from the house. To put in a full lanai will be very expensive and we can always add one later if we want. I really do like having a lanai. It is good for keeping bugs and critters out, so just caging in that one area is perfect for now. We are also thinking about installing a few of these automatic screen doors, like you see below. Our lanai will look pretty similar to this one. Not bad, right? Automatic screen doors. Love these! Picking out pavers and tile. 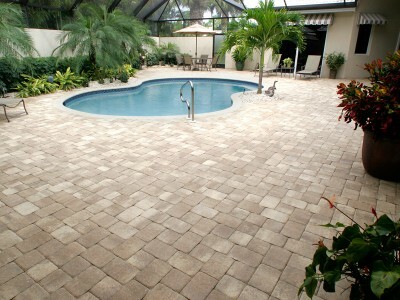 At our appointment, we didn’t have time to finalize the pavers we wanted or the tile for the pool. We will have to go back soon and firm that up, but I did take some pictures of a few tiles that I liked. What do you think? 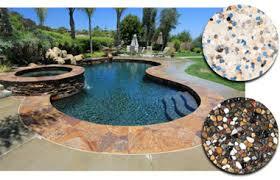 For those that don’t know, all pools in Florida are gunite. No pool liners here, at least I’ve never seen one. So, the tile is for the top surround of the pool, or the water line. 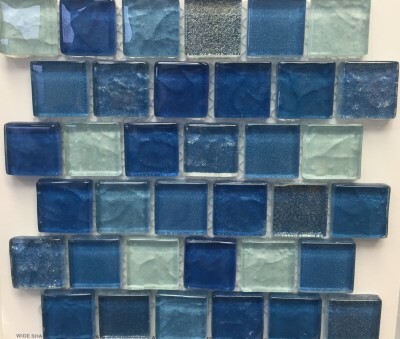 Here are some tiles I really liked. They looked better in person. 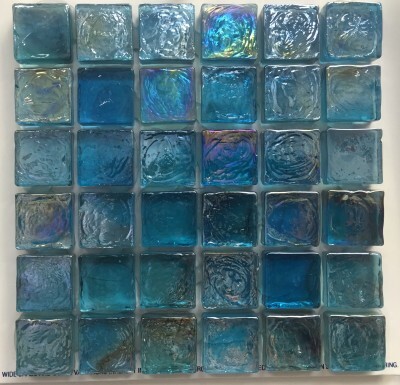 They had some really gorgeous glass tiles too but they were very expensive. Some of them were $40 – $70 a square foot! Yikes! I wish I had taken more pictures of stuff I liked but we just ran out of time. As for pavers, I like the lighter colored ones. Nothing too busy and not a lot of pattern. Just plain and simple. Plus, the lighter ones are supposed to be better on the feet and do not get hot in the direct sunlight. Here are some looks I like. 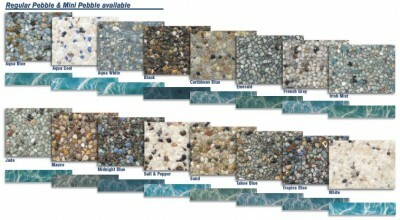 There is also the decision of what color you want your water to look according to what pebble color you choose. 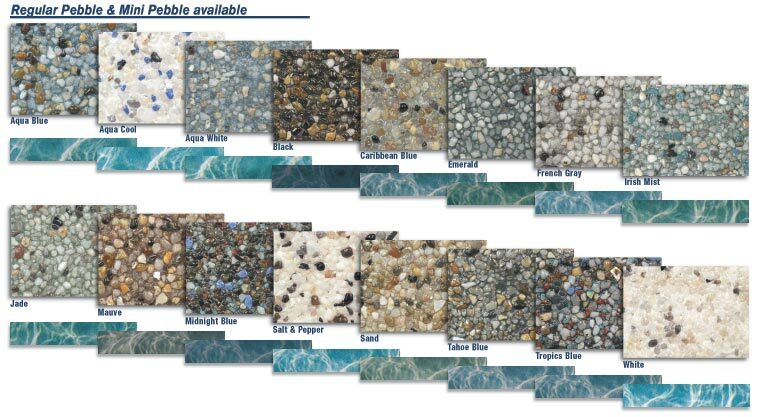 Did you know there are about a zillion different colors to choose from? Me either! 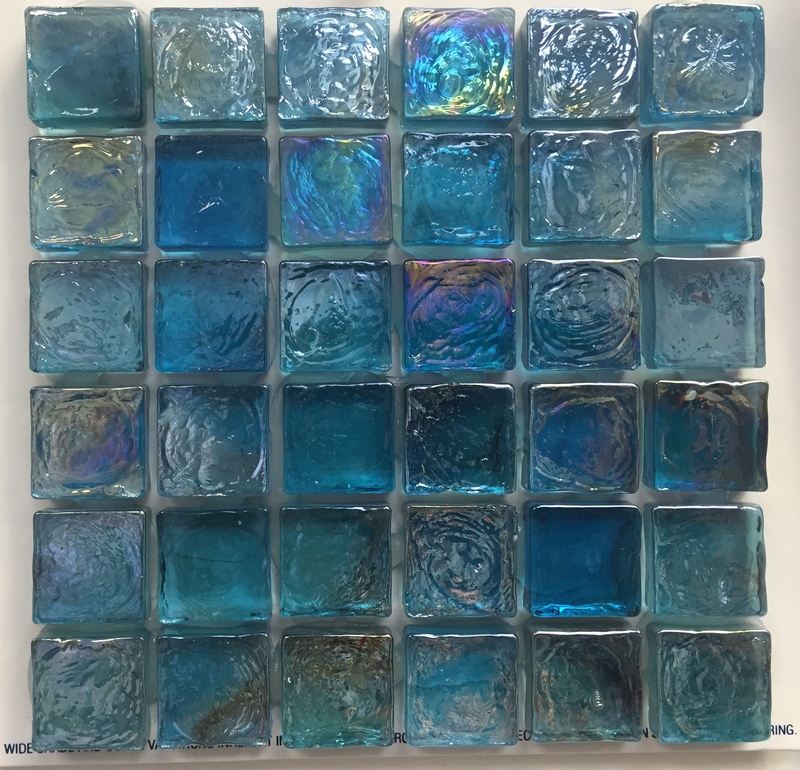 Everything from Tahoe Blue to Abalone Shell to Ice Rink. See what I mean? And this is just a small sample of all the choices. We have a entire book to look through. It is a little overwhelming. We don’t want anything too dark. I am not a big fan of those pools where the water is so dark it looks like a lake. I want to be able to see the bottom. I’m thinking a nice aqua colored pool. Hopefully when we go back our sales guy can help us pick something that we are happy with. This is WAY to dark. Not my thing. They expect to begin work in approximately one month. Once they begin it will take about 4 to 6 weeks to complete. I can’t wait! As usual, I will keep you posted. Leave me a comment. Any pool ideas to share? What do you think of those tiles and pavers? While it’s not quite the same as a new pool, I made a little time-lapse of our pool renovation. 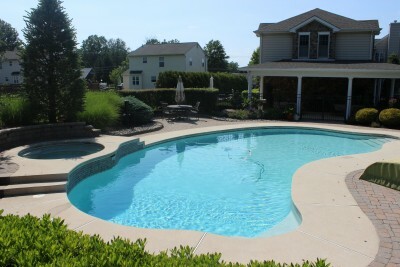 A 20-year old pool, new paver deck and new Marcite pool finish and new tiles. A lot of the process is what you will see once they get your process started. Pool construction/renovation is a dirty and time-consuming job, but such pleasure once the job is done. Super cool Dan! Thanks for sharing! I can’t wait for them to get started. So glad it’s starting to come together. Looking forward to more posts!